NEW YORK -- Find out about Employment Opportunities at WABC-TV. WABC-TV is an Equal Opportunity Employer. Any organization providing employment information or referrals may ask to receive our postings. For more information, write to us at: WABC-TV, 7 Lincoln Square, New York, NY 10023, or email us at wabcjobs@abc.com. WABC-TV, the ABC Owned local TV and digital content provider in New York City, seeks an experienced, highly motivated, creative general assignment reporter. Qualified candidates must be great writers, have strong live presentation skills and some familiarity with the nation's #1 market. Ability to shoot, edit and publish is essential. Must also be able to demonstrate strong social & digital media skills. Successful candidate is expected to shoot and/or edit their own material some of the time. To apply, please log on to www.disneycareers.com and search for requisition #660100BR. WABC-TV in NYC has an immediate opening for a Freelance News Media Manager/Editor. Responsibilities include: managing media ingests, digital file conversion and import, uploading and downloading media elements from third party sources. In addition, this person will be responsible for the management/coordination of content during live newscasts, including coordinating communication between technical and editorial mangers, supervising/assigning Editors, news editing, monitoring and quality control of live transmissions, and monitoring the news rundown. The successful candidate will have a minimum of 3 years television news editing experience, and multiple years of experience working in a TV newsroom exercising editorial judgment. Must be proficient in non-linear editing techniques (Premiere preferred), computer literate, as well as experience with one or more newsroom systems such as AP ENPS, iNews or Dalet. This individual must be highly organized and used to working under tight deadlines while working on multiple, overlapping projects. The News Media Manager will work closely with News Producers and Management to ensure the timely and accurate production of newscasts, special reports and special segments. Must be willing to work any shift and weekends. 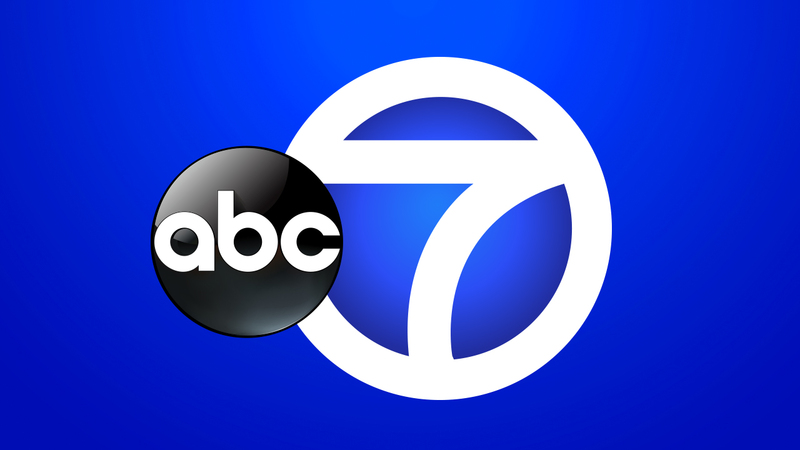 WABC-TV is looking for a dynamic meteorologist to join our Eyewitness News weather team. Successful candidates will know how to cover and win breaking weather on-air and on our digital platforms. You must understand forecasting, know the technology and be able to deliver your forecasts in a conversational and engaging style. This is an AFTRA-represented position. To apply, please log on to www.disneycareers.com and search for requisition #639294BR. WABC-TV, New York's #1 station, seeks a Multimedia Promotion and Content Producer. We are looking for a hard-working, highly gifted producer who shoots, edits, and writes promo copy that pops off the page. You'll work alongside a team of producers in our Audience Development department, which functions as an in-house advertising agency, to produce engaging content for Programming, Sales/Marketing, Public Affairs, the abc7NY brands, and, above all, Eyewitness News, the #1 local news station in the nation. 6. A professional, positive attitude; an exacting attention to detail; an understanding of how to sell, market, and promote; and the confidence to take initiative without supervision. In collaboration with all content, news and marketing teams, you will help lead our best-in-class journalists and storytellers with experimentation both on- and off-platform. You will be at the center of ABC7NY's future success, with a full understanding of our multiplatform audience, driving video storytelling innovation. You will work to provide strategic guidance and actionable insights to serve all our digital audiences. This position is expected to lead our efforts at digital content creation, distribution and engagement across all dayparts. The ability to lead and work collaboratively with talent, reporters, producers, marketers, photographers and managers on short and long-range projects is critical. 1. Innovate our content: You will be our leader in creating an incubator for experimentation and setting priorities for making distinctive original content that drives engagement in all ABC7NY platforms. 2. Measure, learn and adapt: establish and maintain a process and workflow that fosters an environment of learning from data as we continue to develop innovative video content for all platforms. This will include creating experiments, analyzing results, and advising content creation/marketing across a variety of customer-facing channels and touchpoints. 3. Identify community and influencer trends with an eye toward creating content that will both engage individually and work at scale. Proven digital success. You know what content to create and how to interpret the data to do more of what is resonating with the audience and less of what's not. To apply, please log on to www.disneycareers.com and search for requisition #623429BR. WABC-TV is looking for a studio floor director for fast-paced news and public affairs programming. This position will act as primary liaison between control room, on-air talent, and stage crew. Candidates must have the ability to decipher scripts/rundowns as they relate to talent cues and camera assignments; be able to take charge and work in a fast-changing breaking news environment. Must and have shift flexibility and be willing to work long hours when events dictate. 3-5 years prior Stage Manager/Associate Director experience in live news programming preferred. This is a DGA represented position. To apply, please log on to www.disneycareers.com and search for requisition #623437BR. WABC-TV seeks a Part-Time Media Designer/Artist to work 3 days / week in the Art Department. This is an excellent opportunity to gain experience in electronic graphics, animations and support. Must be extremely knowledgeable and proficient with the Macintosh Operating System and Adobe Photoshop. Knowledge of Adobe Illustrator and After Effects a plus. Graphic Design and Communication Arts education and/or training needed. To apply, please send resume / cover letter to: wabcjobs@abc.com. WABC-TV is seeking a motivated person who can function effectively in a fast-paced, high-pressure environment. Strong phone and organizational skills are required. Minimum one year live television experience necessary. Excellent typing and office skills are essential. Candidate must be a self-starter who can initiate and maintain office systems. Knowledge of SAP preferred. Please apply via www.disneycareers.com and search for requisition #550295BR. WABC-TV is looking for a Segment Producer. Responsibilities include: producing guest segments, theme weeks, on-air demos and audience participation games; developing on-air campaigns in relation to sold integrations and produce written copy accordingly; assisting in the creation of contests including UGC contests and generating ideas for web contests. Daily assignments will include control room, studio and managing viewer comments. The successful candidate is a self-motivated team player, who is able to generate ideas and exercise good judgment and people skills. He or she would be flexible, resourceful, and have strong organizational/time management skills with a desire to grow technically. Must have at least 5 years Television Talk Show production experience. Live producing experience is a plus. Strong knowledge of pop culture and social media trends preferred. -	Excellent organizational and time management skills and the ability to multi-task. To apply, please log on to www.disneycareers.com and search for Requisition # 549391BR. WABC-TV is looking for a highly motivated freelance writer/producer with a varied skill set for a highly competitive, high pressure environment. You must have outstanding news judgment, be able to pitch great story ideas and have a great production sense. Candidate should be active on social media and understand how to leverage those platforms for stories. You should also be able and willing to shoot and edit some of your own video. You must work well with reporters, assignment editors, and other writers and producers. Outstanding copy editing skills are necessary. Experience writing for and producing a newscast in a major market is required. Applicants who have not produced a television newscast in a major market will not be considered. To apply please send resume to wabcjobs@abc.com. WABC-TV, New York, is seeking experienced and proactive ENG Field News Photographers for freelance employment. Successful candidates will have a proven track record in the fast-paced, high-pressure environment of daily local newsgathering. Knowledge of the tri-state area is important. Must be willing to work all shifts - day, night, overnight and weekends. Interested applicants should send their resumes to: wabcjobs@abc.com.